The South Carolina senator became the second Senate Republican to publicly oppose controversial nominee Thomas Farr. WASHINGTON — A second Senate Republican has come out against controversial Trump judicial nominee Thomas Farr, a move that is certain to sink his chances of confirmation. 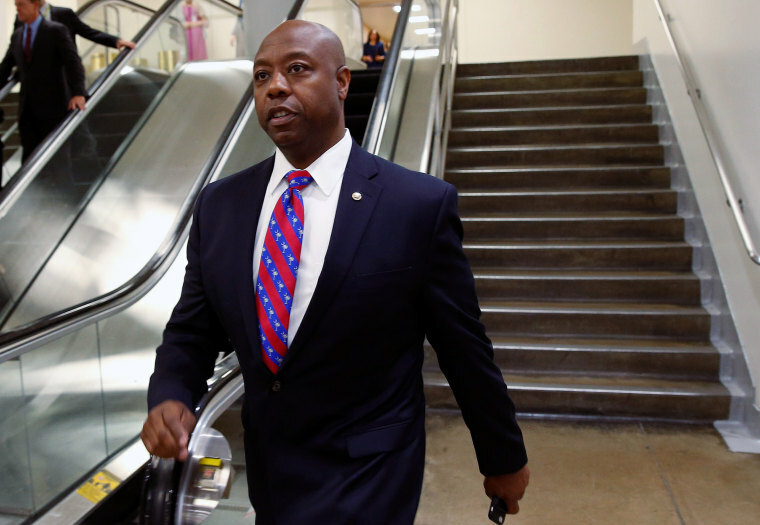 Sen. Tim Scott, R-S.C., the Senate's only African-American Republican, said in a statement that he could not vote for Farr because of concerns about his record. The nominee to be a federal judge for the Eastern District of North Carolina has been accused of legal efforts that effectively disenfranchised African-American voters. "This week, a Department of Justice memo written under President George H.W. Bush was released that shed new light on Mr. Farr’s activities," Scott wrote in a statement announcing his opposition. "This, in turn, created more concerns. Weighing these important factors, this afternoon I concluded that I could not support Mr. Farr’s nomination." Scott joined fellow Republican Jeff Flake of Arizona and the Senate's Democrats in opposing Farr's nomination. Flake is opposing all judicial nominations until he receives a vote on a bill to protect special counsel Robert Mueller from being fired, but he said Thursday that he's also opposing Farr because he's not fit for the bench. "I'm not prepared to support Tom Farr even on the merits," Flake said. "I've studied it more, at least about decisions he's made to defend certain (electoral) maps or whatever else, and then questions with regard to the Jesse Helms letter have never been answered to my satisfaction." Farr was legal counsel on the campaign of former Sen. Jesse Helms, R-N.C., who was investigated for intimidating black voters in 1990. The Justice Department investigated the voter suppression, which led to the memo that Scott and Flake both referenced in their opposition. 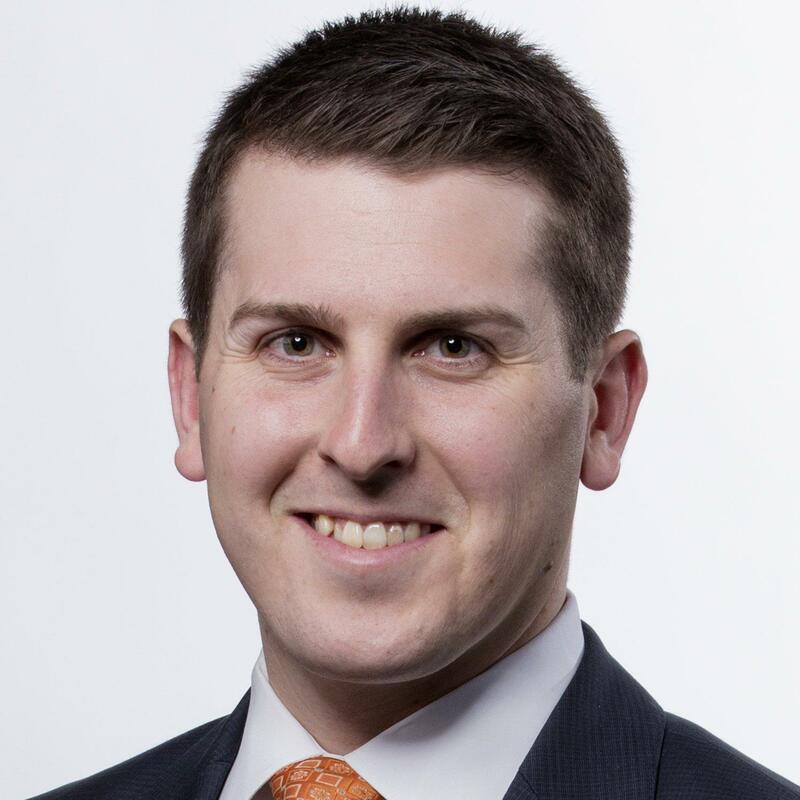 Thomas Farr is an employment lawyer at Ogletree and Deakins in Raleigh, where he has also been the lead counsel defending clients against racial discrimination and workplace violation complaints. He also worked to defend the restrictive voter ID law in North Carolina, which Democrats say is disqualifying. This is the second time Scott has derailed one of President Donald Trump’s judicial nominees because of concerns over racism. He objected to Ryan Bounds, a nominee for the ninth circuit in July, over racially insensitive writings during his time at Stanford University. Sen. Marco Rubio, R-Fla., also opposed Bounds, resulting in the nomination being pulled just moments before the final vote was set to take place. Senate Majority Leader Mitch McConnell has made confirming judges a top priority under the Trump administration and Republicans have confirmed a record number — 84, including two Supreme Court justices. Scott has been wrestling with Farr’s nomination. After keeping a procedural vote to advance the nomination open for 45 minutes Wednesday while he continued to “do homework" he voted in favor of moving forward with the nomination. Final passage was supposed to be Thursday but was delayed because Sen. James Inhofe, R-Okla., had a family emergency in Oklahoma. Scott said that he wanted to speak to the author of the Justice Department memo again because he had additional questions. Scott set off an aggressive lobbying campaign by members on both sides of the aisle. Sen. Thom Tillis, R-N.C., was an advocate of Farr’s, having known each other from North Carolina. He huddled with Sen. Scott on Thursday morning to reassure him of Farr’s qualifications. On the other side of the aisle, Democrats, including Sen. Cory Booker, D-N.J., hoped that Scott oppose him. Senate Democratic Leader Chuck Schumer of New York, who called Farr the “chief cook and bottle washer” of voter disenfranchisement in the North Carolina, praised Scott for his decision. “Senator Tim Scott has done a courageous thing, and he’s done the right thing. Thomas Farr has been involved in the sordid practice of voter suppression for decades and never should have been nominated, let alone confirmed to the bench. Thankfully, he won’t be,” Schumer said. This seat has been vacant since 2005 — longer than any other judicial post. Former President Barack Obama nominated two people who Republicans blocked.